A hernia – the displacement of an organ from the cavity in which it usually resides – can be an extremely painful and serious condition. When weakened or torn muscle tissue walls that usually keep the organ in place fail to act as support, surgery is often require to repair the damage. While surgical mesh products used in this procedure have been hailed as an exciting medical advance, they can also create complications that cause victims distress, disability, and even death. At HSH, our experienced product liability lawyers specialize in cases involving this type of mesh. We can help you seek compensation if a procedure involving hernia mesh left you suffering from debilitating effects or other illness. If you or a loved one has suffered the effects of hernia mesh implants, vist our website, herniameshlawsuit.ca, for more information. Hernia mesh is often made of a plastic substance called polypropylene. This material is used in various kinds of hernia surgeries to supplement or replace damaged tissue that resulted in organ movement. It acts as a patch or bridge to bind together the muscle/tissue wall. 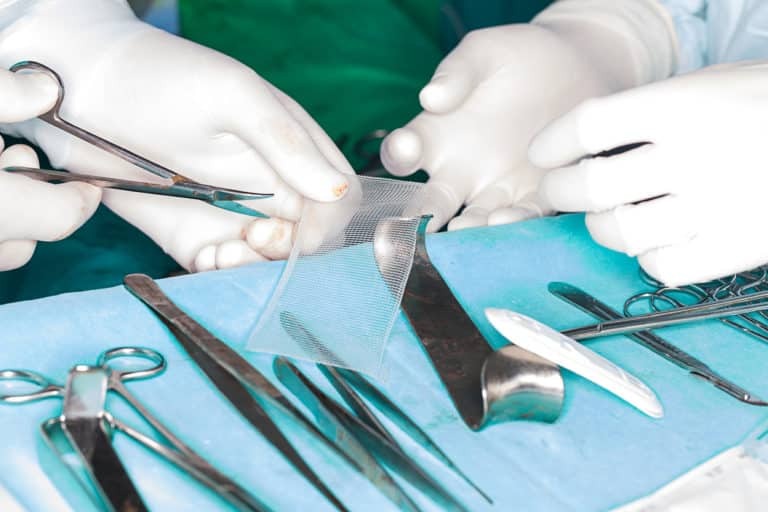 Although types of mesh has been used successfully in hernia operations for more than half a century, there are risks of complications and certain hernia mesh products have been recalled due defects which significantly increased these risks or failure rates. Common complications from hernia procedures – with or without mesh – include failure and reoccurrence of the hernia. Unfortunately, subsequent operations are less likely to be successful. There is also a general risk of infection, chronic pain, adhesion of skin, and obstruction. Defective hernia mesh can increase the risk of these complications and also pose several additional problems, notably perforation and fissures of the skin and organs and pain due to nerve damage. Particularly serious instances of perforation and infection have resulted in blood poisoning and death.